Baron’s mantella frogs have toxins in their skin called alkaloids that make them taste very bitter to their predators. The bitter tasting compounds come from the frogs’ diet of mites, ants and beetles. 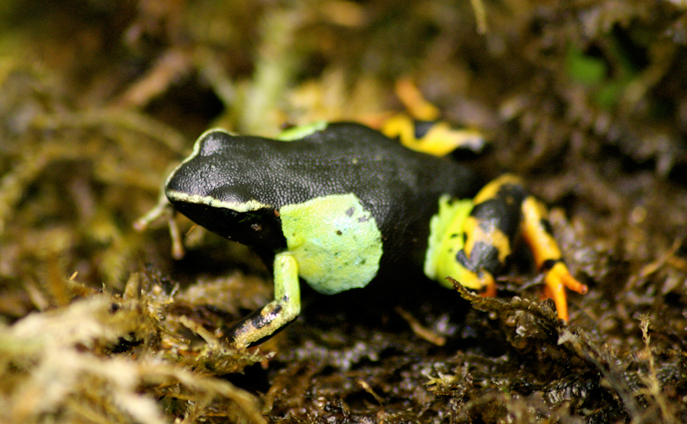 The bright colours of the Baron’s mantella warn predators that the frogs taste badly.